To be merciful means to show compassion and to make a sacrifice of our time, money and so on. Mother Teresa would say “An institution is not able to love, even though it has the word ‘love’ in its name”. An institution can give money but it cannot love. Why is this so? Because an institution has no heart. Only people who belong to it are able to love. Therefore, Mother Teresa organized help for the dying, they did not need money, they were in need of someone who loved them. By her service she helped them discover God’s mercy. One of the dying said, “Sister, I am going to God, thanks to you I know that God exists and that He is love. I have lived in the street like an animal, but I am dying like an angel, being loved and under your care. Sister I am going to heaven.” He finished and went to God with a smile on his face. We have no doubts that the heart of Saint Teresa of Calcutta reflected God’s mercy. Practicing mercy is also the way in which we love God. He identifies himself with man. Jesus said, “In truth I tell you, in so far as you did this to one of the least of these brothers of mine, you did it for me” (Mt 25:40). The Bible says, “Anyone who says ‘I love God’ and hates his brother, is a liar, since no one who fails to love the brother, whom he can see, cannot love God whom he has not seen” (1 John 4:20). This way of practicing acts of mercy was constantly present in the life of St Faustina. She wrote, “An ardent love of God sees all around itself constant opportunities to share itself through deed, word and prayer” (Diary 1313). There are two kinds of needs which we can respond to by mercy. The spiritual needs and the material needs. The Holy Spirit helps us to decide what to do. Sometimes people are in sorrow and they need a word of consolation. In another situation they need some financial support. But nearly always we may offer them our prayers. Prayers can help, especially to those who have lost their way in life, or gone astray from the path of salvation. I assure you of the constant daily prayers of the priests of the Congregation of St Michael the Archangel for all our readers and their families. 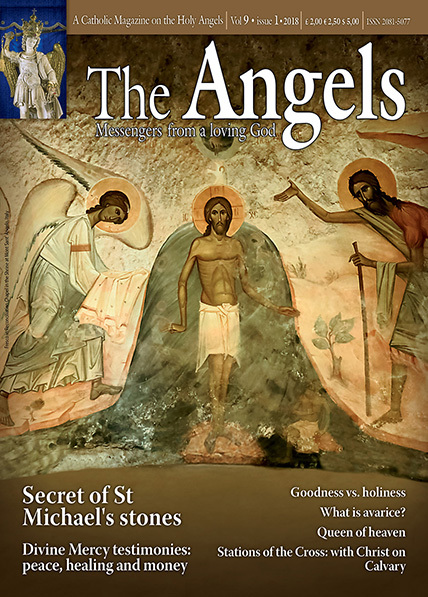 Please let others know about this magazine and help us to distribute it all over the world. God bless you.